Enter a nightmare country of supernatural suspense and haunting horror tales. 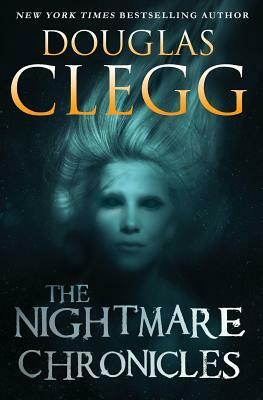 "Disturbing, compelling, powerful..." ★★★★★ Dean Koontz says, "Clegg's stories can chill the spine so effectively the reader should keep paramedics on standby "Meet Oliver, whose dead wife may just be waiting for him down a dark alley. Or Jane Boone, in a distant country to meet the most brutal of killers - or is he a god?..and more from the NY Times bestselling author whose tales "can chill the spine so effectively the reader should keep paramedics on standby " (Dean Koontz). Scroll down for the Table of Contents.This collection/anthology won both the Bram Stoker Award and the International Horror Guild Award.Praise for The Nightmare Chronicles: "Clegg brings his stories together with a chilling fictive conceit....The effect is dangerously seductive." - Locus Magazine"Clegg's (The Halloween Man, etc.) collection of 13 tales takes risks and is full of passions that sometimes burst forth violently...Clegg's use of innovative metaphors catapults each story beyond a landscape crowded with the horror genre's usual monsters and madmen into a territory he alone can claim." - Publisher's Weekly..".Like M. R. James, Douglas Clegg can 'write about the vile and horrific without seeming to smear it over himself or you.' Like Shirley Jackson he has an understated precision of language and the ability to portray his characters emotionally in a wickedly effective manner. And, like Stephen King, he loves to tell stories and tells them well. At the same time, Clegg is a thoroughly modern writer...Without doubt, one of the best collections of the year. - DarkEcho"Every story is perfectly different and definitely unlike any other horror novel/film I've read or watched...all of them have their images that could come back to you in your dreams." - Doubleshot Reviews. "Clegg writes some of the most harrowing, unforgettable tales you're ever likely to come upon.. Clegg's best stories...slip into your subconscious and stay with you well beyond the last turning of the page..." - The ChiaroscuroContains the short stories: "Underworld" "O Rare and Most Exquisite" "The Rendering Man" "The Fruit of Her Womb" "The Hurting Season" "Chosen" "The Night Before Alec Got Married" "Only Connect" "The Little Mermaid," "Damned If You Do" "The Ripening Sweetness of Late Afternoon" "White Chapel""I Am Infinite, I Contain Multitudes. Douglas Clegg is the bestselling and award-winning author of more than 30 books, including Night Asylum, Neverland, and Naomi. He is married and lives near the New England coast. Currently, he is working on his next novel.